National Asset Management Support - NAMS - are international leaders in asset management. We provide technical guidance and support for anyone managing community and infrastructure assets in NZ and worldwide. Our goal is to enhance and improve the wellbeing of our communities to the benefit of all New Zealanders. 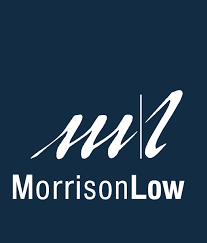 We have over 20 years experience across all areas of asset management, including central government, local government and community-based assets. The 5th edition of the globally acclaimed International Infrastructure Management Manual (IIMM) has been driven largely by the introduction of the new ISO 55000 Asset Management Standards. 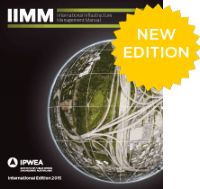 The IIMM is available electronically and can be purchased through IPWEA Australia at AU$350 – no GST. Click here for more information or to order. To lead and support good practice in the management of community and infrastructure assets. To be recognised as the industry knowledge centre. TO ACHIEVE OUR VISION "ENHANCING THE WELL BEING OF NEW ZEALAND COMMUNITIES THROUGH LEADERSHIP OF ASSET MANAGEMENT" NAMS IS SUPPORTED THROUGH A PARTNERSHIP PROGRAMME. NAMS WOULD LIKE TO ACKNOWLEDGE ALL OF ITS PARTNERS FOR THEIR SUPPORT. Copyright 2018 NAMS NZ. All rights reserved.